Written on February 18, 2016 . Posted in Foundation Studies. Kai Franz (Assistant Professor, Experimental and Foundation Studies) is the featured artist in a new exhibition Kai Franz: The Particles Fell Silent now on display at Rockelmann & (Schönleinstraße 5, Berlin) until 5th March 2016. The artist will also take part in a public conversation with the Berlin-based philosopher Martin Beck on 10th March 2016 from 7:00 to 9:00pm. This event will include a book signing. 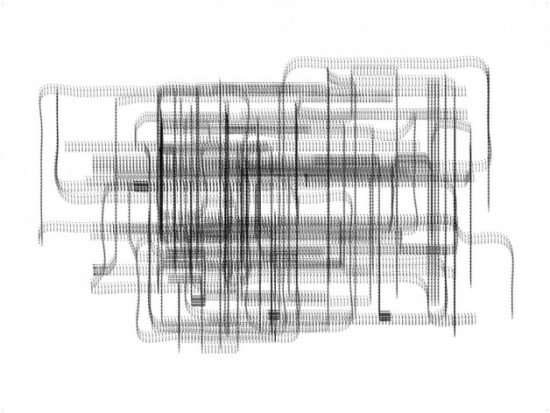 Franz’s work questions the notion of authorship and subjectivity by setting-up and building machines that translate digital drawings and information into a nexus of matter and materiality. 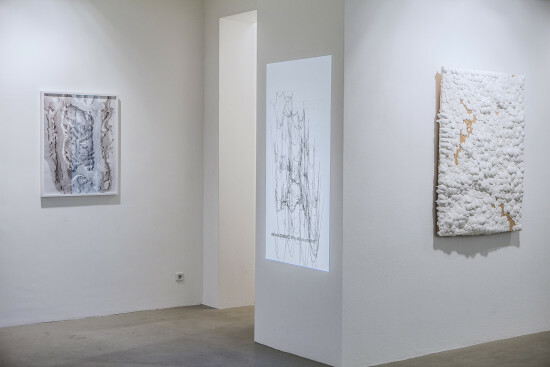 The work on display encompasses sculptures, paintings, drawings, and etchings which represent the artist’s interest in phenomenology with notions of objectivity and subjectivity in the digital making process. 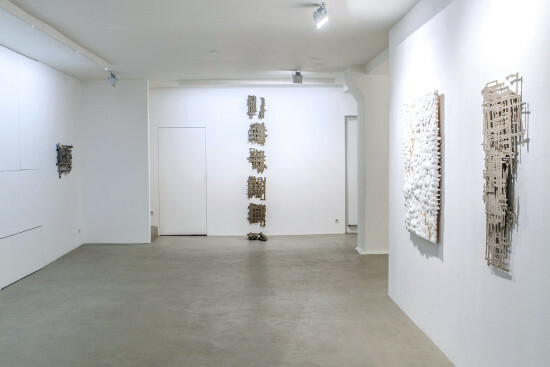 The Particles Fell Silent is Franz’s first solo exhibition in Berlin. Widewalls review of the exhibition can be found here.